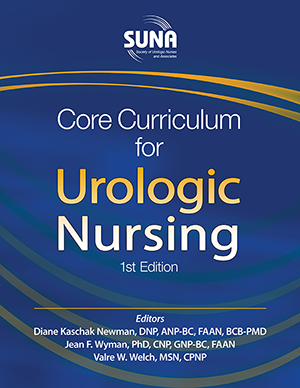 As a Certified Urology Nurse, I have had the opportunity to attend several conferences. I have always learned and brought back to my practice information and pearls to use, especially in urodynamics. Networking with my colleagues is the best! Thanks for the great conferences! The committee put together a conference that was highly educational and included topics addressing ongoing urologic issues as well as newer trends. Attending the SUNA conference was a great experience and a definite help in improving my professional knowledge and practice. This was my first SUNA conference. It was very organized and conference staff were so helpful. I enjoyed every session and wish I could have attended them all! I will certainly recommend this conference to my colleagues! I love SUNA conferences. They are a great place to network. The presenters and colleagues are friendly, and I always learn so much. Being able to network with other SUNA members from different regions is so valuable. The conferences confirm our practice techniques, challenge us to improve, and keep us current on all topics. The SUNA conference was one of the most informative and educational conferences I have ever attended. There were so many resources available, including hands-on experiences. This was my first SUNA conference. All the educational opportunities offered were very pertinent to my practice. The speakers and presenters were phenomenal and inspiring. I learned so much! I always come away from SUNA conferences feeling a renewed sense of excitement about the work I'm blessed to do. It's great to network with colleagues, increase my urology knowledge base, and even learn a little more about the city where the conference is held. Thank you to SUNA, the conference committee, and the speakers for their hard work.